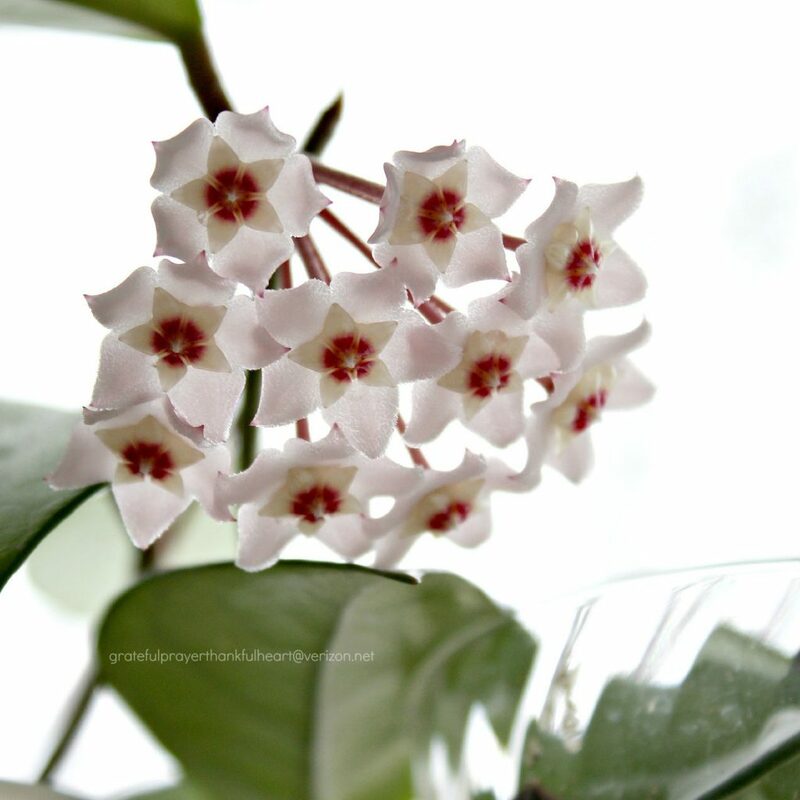 It isn’t very often my Hoya plant flowers and so I was surprised that a small cutting I rooted this past summer bloomed for me last week. 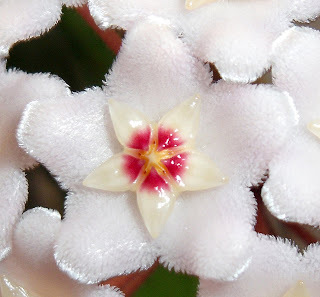 It is such an interesting flower and sure does brighten up this snowy winter. 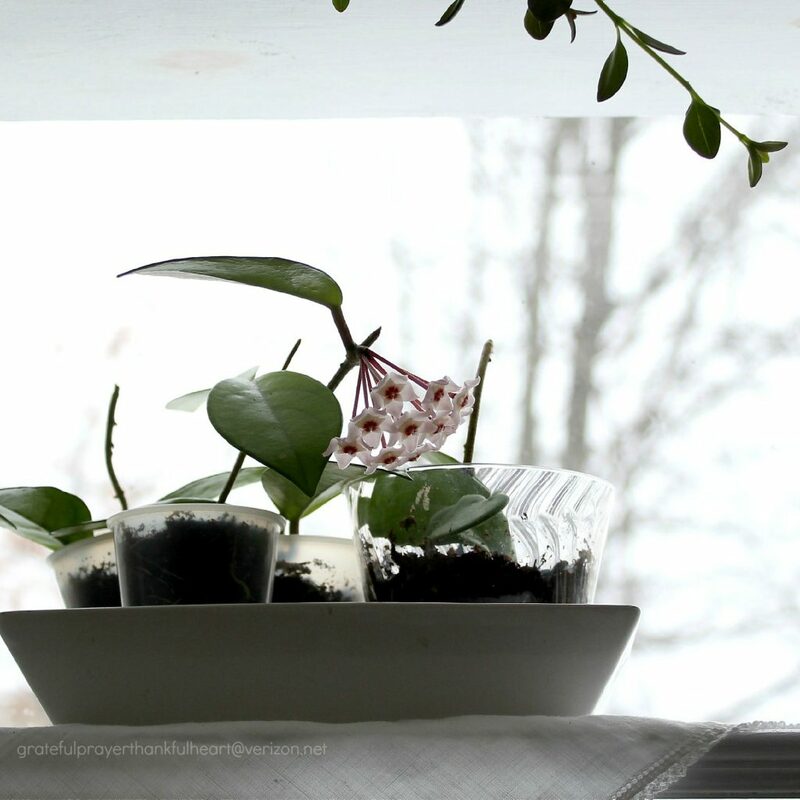 Here is sits on my chilly kitchen window shelf with three other tiny cuttings. My original plant had become too large but before giving it away, I took a few cuttings to root. 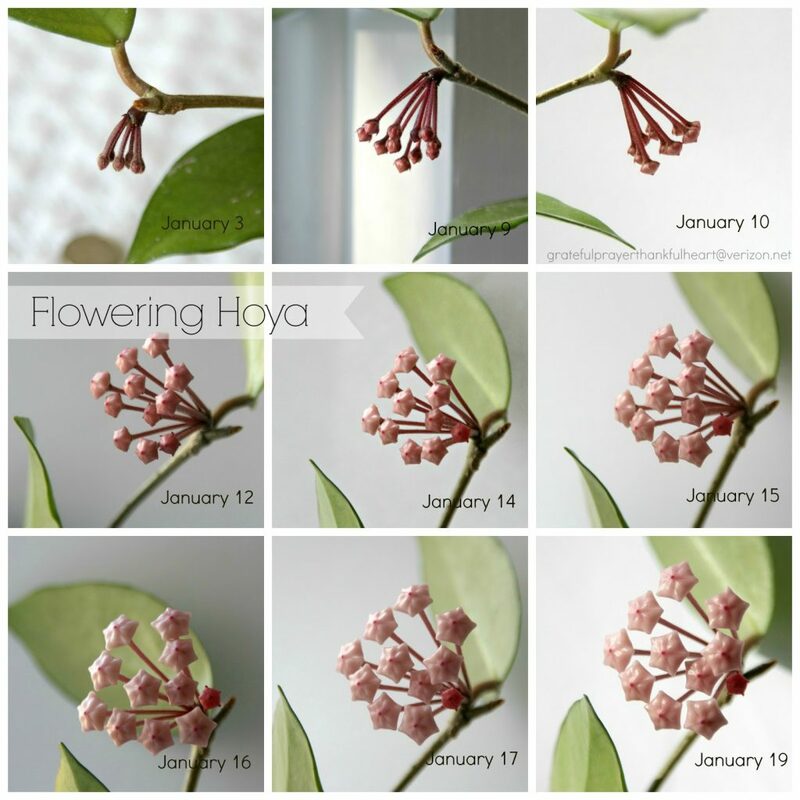 You can see the plant in previous bloom by clicking the photos below. 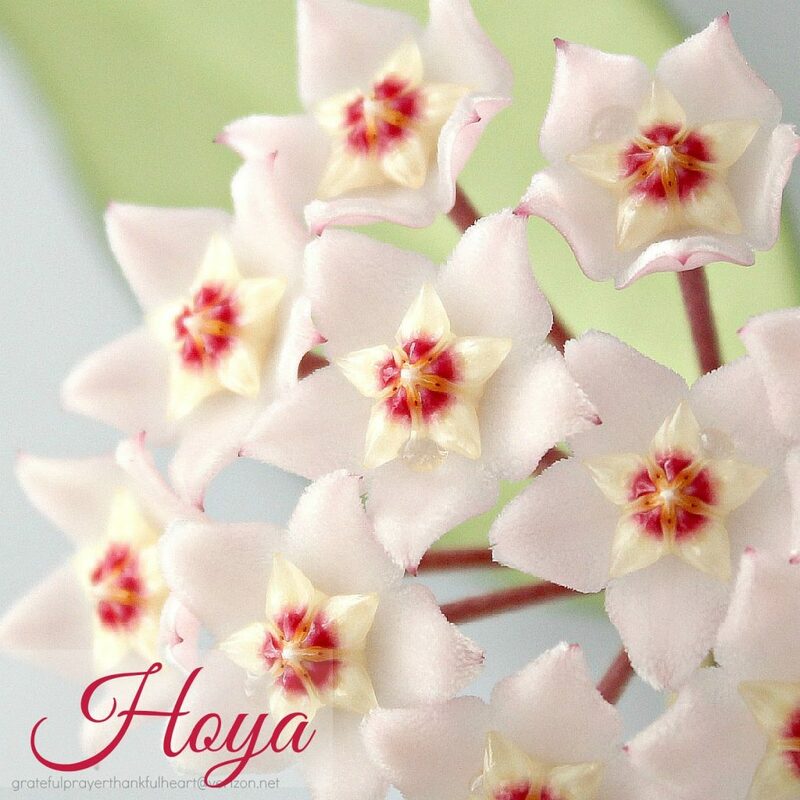 Your Hoya is beautiful! 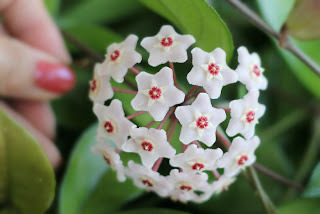 I love the way plants can surprise us when we least expect it. What a treat to watch as it unfolds. 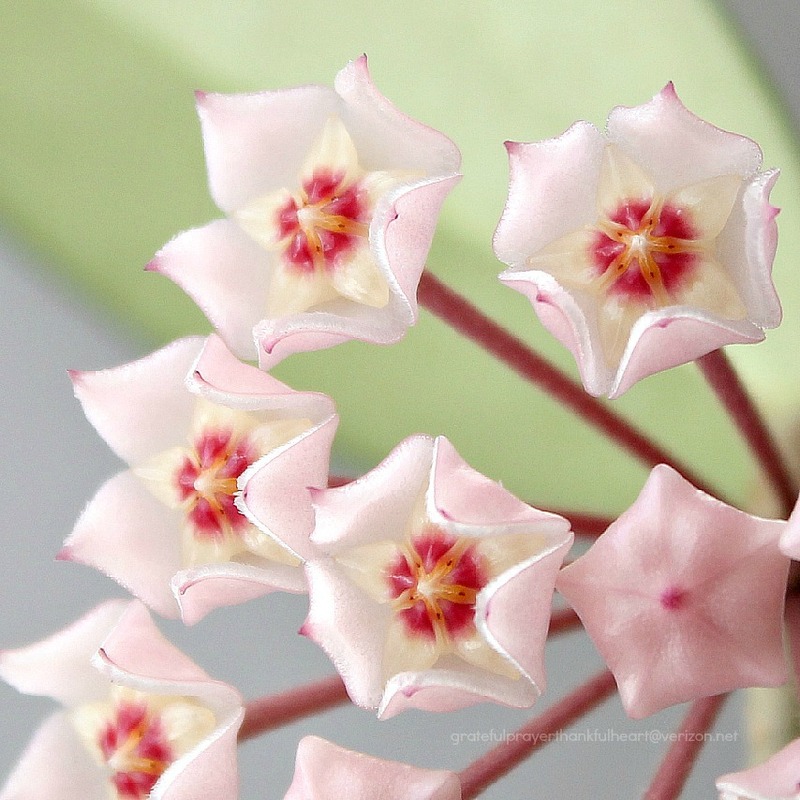 Beautiful plant and beautiful blooming. I don't think I've ever seen this it. Thank you for sharing with these stunning photos! It is very pretty and new to me.